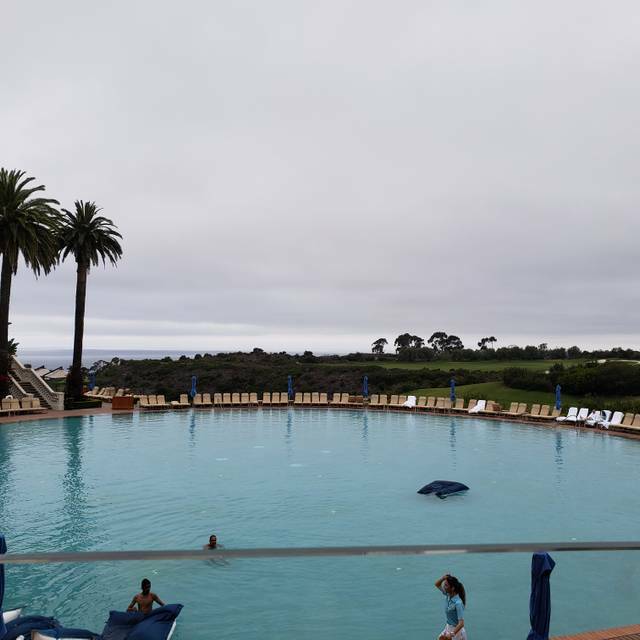 You must make reservations at least 5 minutes in advance of the time at Coliseum Pool & Grill - The Resort at Pelican Hill. The casual resort lifestyle on the Southern California coast comes to life at the Coliseum Pool & Grill, with gorgeous Pacific ocean vistas, whimsical table settings of bright aquamarine linens and blue-tinted glassware, and a wide selection of American favorites on Chef Diego Bernal’s superbly prepared menu. Dine overlooking the strikingly iconic Coliseum Pool with its radiant blue bottom created by hand-setting 1.1 million hand-cut glass mosaic tiles. Serving breakfast, lunch and dinner, the restaurant offers fresh seasonal fare with many ingredients sourced locally from the Irvine Ranch®, located just 8 miles from Pelican Hill. With a large selection of pizzas, panini, sandwiches, seafood dishes, pastas, specialty salads and even smoothies, there’s something on the menu for every taste and desire. A lounge with nine-foot TV screens is a favorite for sports viewing and families delight in the “Coliseum Kids’ Menu,” featuring an endless pizza, pasta and gelato option. When we got there for a birthday celebration lunch, the host walked us past three dirty two top table on the pool side and attempted to sit us at a four-top in the back behind a pilar. We asked about one of the dirty two-tops and she seemed disappointed, but cleaned one and sat us. Once seated, our server took about 10 minutes to get to us (there was about 10 tables in the restaurant, so it wasn’t busy), we order Modelo, which typically comes with limes, it didn’t. We asked our server for one, after five minutes of waiting, I finally went to the bar and got one. By the time we finished our beers, she arrived with limes. Also, for a $9 beer, about 30% of it was head from the beer... food was great, view was nice, and the Hawk was fun to watch chase the pigeons away. Not on Easter. The whole experience was totally different than any other day. Limited menu options, and for a traditional brunch (the only "egg" option) so overpriced, as no one these days would eat that amount of food! The beautiful lounge chairs and tables were replaced with folding tables and chairs from Costco, and cheap white linens to cover the metal table. It was disappointing all around. Our fourth Easter brunch at Coliseum didn't disappoint. Eggs Benedict was outstanding, as was the Coliseum burger. We prefer outdoor seating, and the weather cooperated, providing the great ocean views we love. Small glitch with our specified reservation seating preference was quickly resolved satisfactorily. Our server, Andrew, was delightful, informative and attentive. Eater Brunch was great. Dessert selection not very extensive but the rest of the buffet was extensive and delicious. Been there before and the food has steadily gotten worse. We are locals and probably won’t go back for a long time. Always a favorite place for any meal. Even though I live fairly close by, it is like a mini vacation to be there! From start to finish everything was perfect. Looking forward to going back. Excellent food. Service very nice. Need more heat lamps outside as it can be cold and ceiling ones don’t heat enough. Have always enjoyed coming here but service was particularly slow. After being seated, waited 15 minutes and had to go to front desk to ask for a waiter to at least take our drink order. Finally got that done but when our appetizer arrived had to ask for napkins and utensils. Then also had to ask for small plates. Overall food is still good, but they completely missed the mark on service. Won’t be back any time soon. Very disappointing. 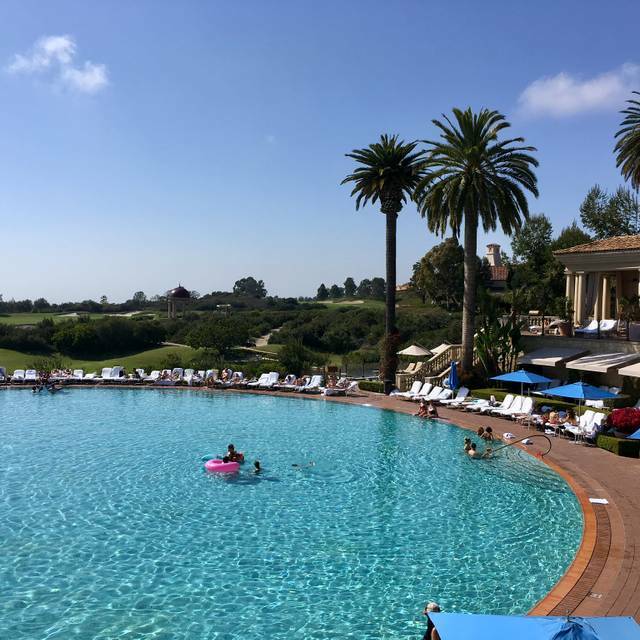 As a TravelZoo special, the options were unlimited and the atmosphere was as good as it comes on the Newport Coast. Since we didn't order the requisite two deserts, our server was able to help with the cost of two additional beverages. Service was a bit slow, but we were not in a hurry, since we were waiting for the sunset. A great and profession staff. A 5 staff recommendation!!! This is one of the nicest places for an evening with a view. 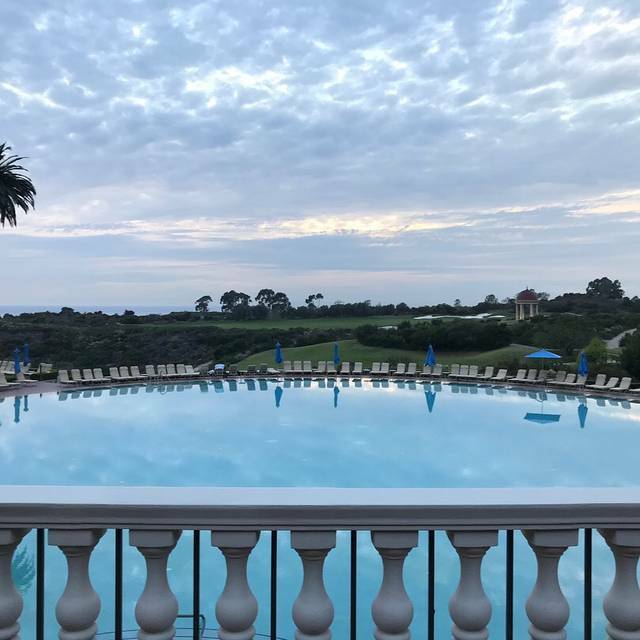 Sunset views can be spectacular and the pool area is beautiful. Happy hour is one of the best in Orange County - especially enjoy the lettuce wraps and calamari. While menu is fresh and dishes are very good and service is attentive but non-obtrusive, the best reason is come is the ambience and view. 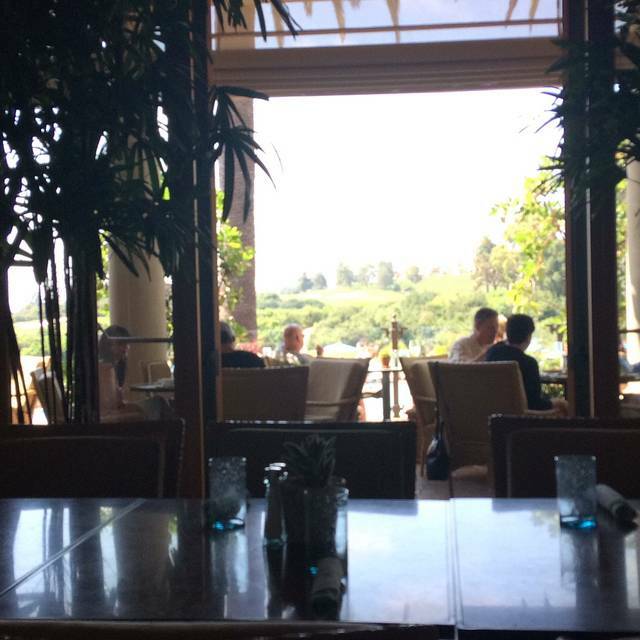 We're locals and have been coming to Pelican Hill for years, always hoping the food will miraculously improve. It has not. The food and service has never matched the ambiance of the property. The Coliseum and The Grill need a complete culinary overhaul. What you get for what you pay is absolutely absurd. It's a mediocre menu at best with sky-high prices. Their attempts at such dishes as a poke bowl, seared sea bass or steak salad are bland and completely uninspired. The bar food is passable and perhaps they should stick to that. 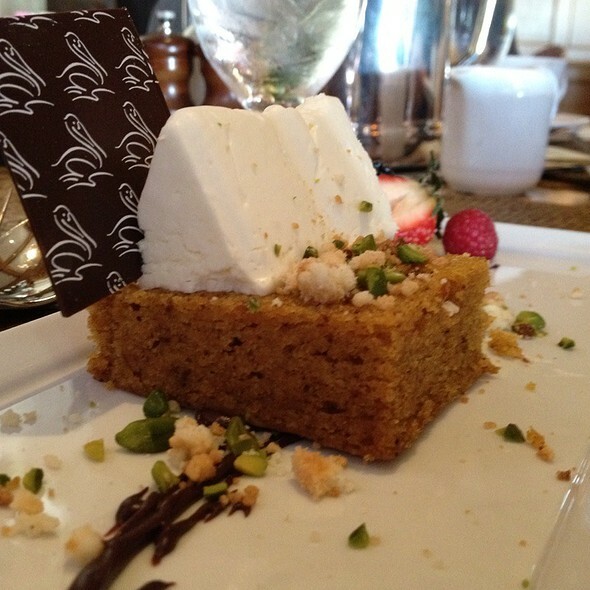 Sadly, we decided that today was our last meal at Pelican Hill until they change management/chef de cuisine. I would love to gather with my friends and family some other time soon. 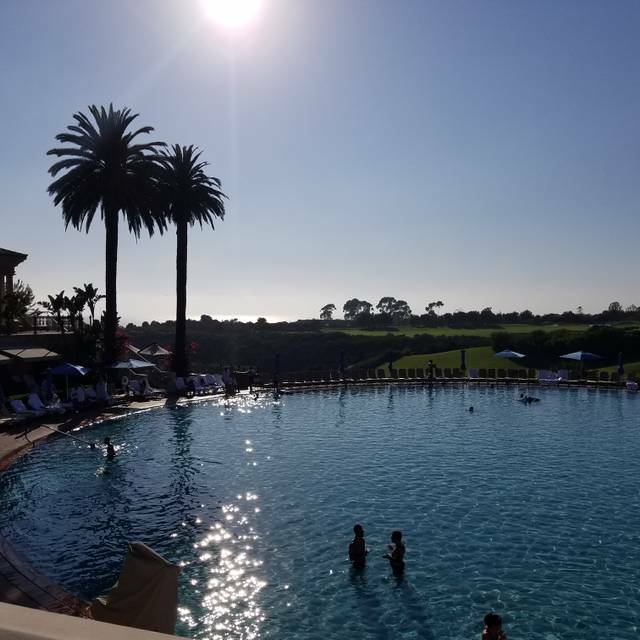 Coliseum Pool & Grill at The Resort at Pelican Hill is a nice place to come out for an outdoor lunch or brunch on a sunny day. The food was good, the wine & drinks choices are nice, the pool view is beautiful and our service was very pleasant. Service levels very low. Brunch food was very good. Good experience overall except for table service being poor. Beautiful pool and ocean views !!! Great spot. Good food, beautiful facility! The service was not it’s usual. Manager made it right. they did a great job to accommodate us with such a large group and the place was so busy. I loved it! parking was horrible, but we valet at the hotel and they drove us back to the restaurant. The view is one of the best in the area! 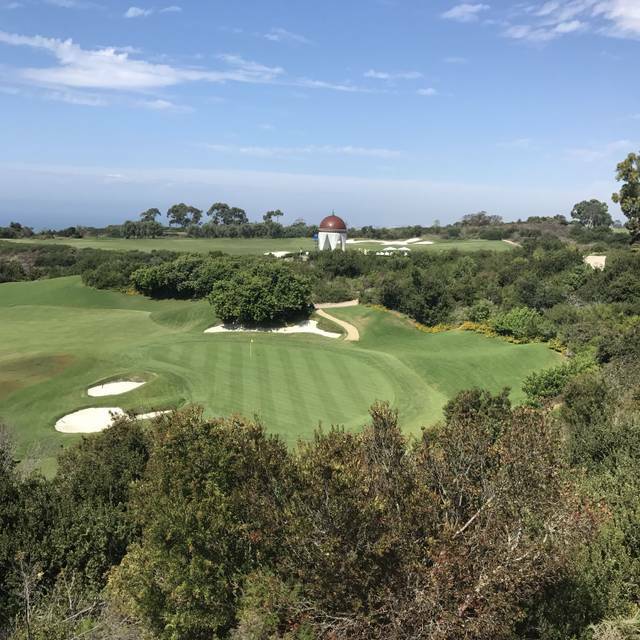 We love Pelican Hill and the atmosphere. We really enjoyed sitting outside. The view of the pool and ocean are beautiful. The food was delicious and there is a great variety of entrees and sides to choose from. GREAT Place to bring friends and loved ones. Food is always TASTY. Really enjoy coming here but this trip we had our 2 year old grandchild and he was not happy with the pigeons flying around and walking under the table. Birds are dirty and should not be acceptable to the staff. They make no effort to chase them away. Perhaps cleaning the tables quickly would help. Relatives from out of town. Server was new, nice but inexperienced. We had to ask for everything such as appetizer plates. As a regular diner, I see lots of turnovers in servers, and proper training for all the new staff would certainly help. 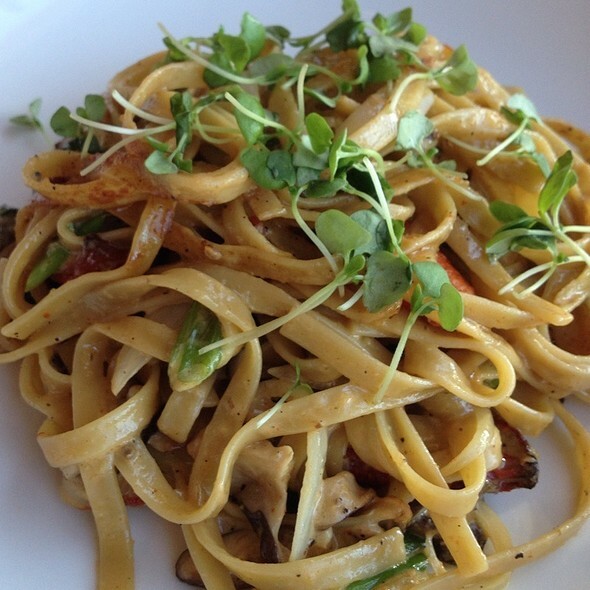 We’ve dined here many times and have always enjoyed the food and great service. The view is beautiful. We learned of this restaurant on a travel zoo promotion - the sea bass was superb and everyone from valet to our waitress to the front desk couldn’t have been more accommodating or pleasant. A perfect lunch spot with an amazing view of the unique circular pool and golf course beyond. Angelica was a great server and Charmaine made the family get together perfect. We love this place and recommend it to so many people but this time was a total disappointment. The power was out in the whole... totally understandable but the service was terrible before and after. Very little communication. We only knew because heard it from another table. Pretty bummed flying in from Salt Lake City planning around this area because of the atmosphere. Great food and you can’t beat the view. Service was very slow though. It took us over 30 minutes just to get our drinks and twice as long to get our food. 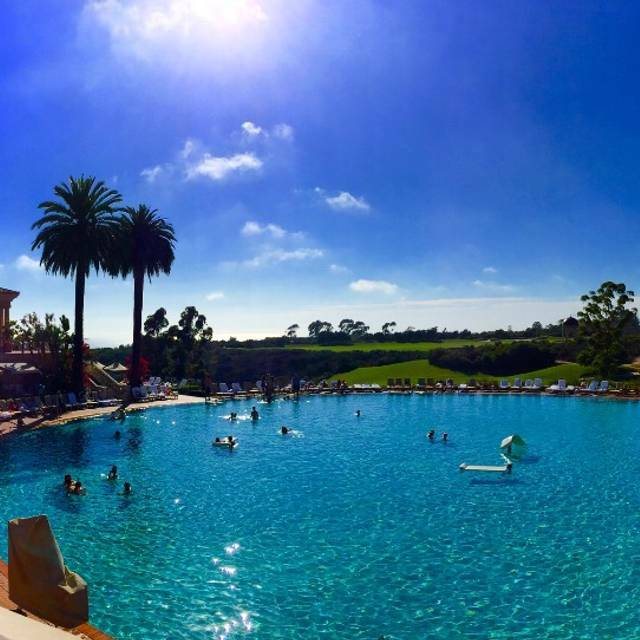 The Coliseum Pool and Grill at Pelican Hill is a favorite of mine. The food is always good and overlooking the pool with the ocean view makes it a perfect place to dine. Bachelorette Brunch was perfect! Small party and intimate and the view was spectacular! Joy our server was attentive and the food was delicious! Appreciate that the restaurant was quiet. Great experience, good service, food, beer, apps and environment. Above average price menu items.